Congratulations to all who were nominated and those who won! 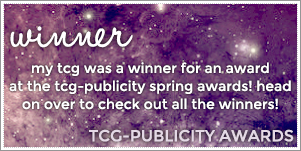 Here is the list of winners from the 2014 Spring Round! You can use this banner to display you won!